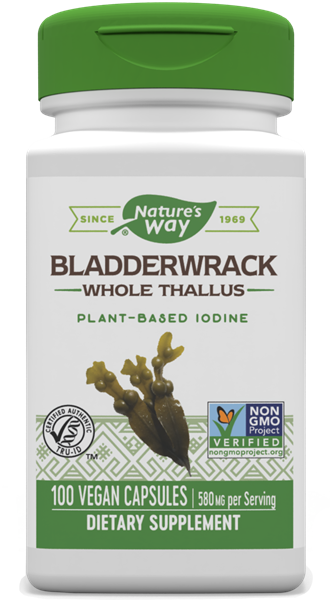 Bladderwrack / 100 Vcaps - Nature's Way®. Bladderwrack is a source of minerals. Our Bladderwrack is a marine plant source of iodine and guaranteed to contain 0.04% iodine. Take 1 capsule daily. Do not exceed recommended dose. Caution: This product should not be taken by persons with known hypersensitivity to iodine or hyperthyroidism. If pregnant, nursing or taking any medications, consult a healthcare professional before use.